The warm weather has arrived, and it’s high time for a spring family outing. 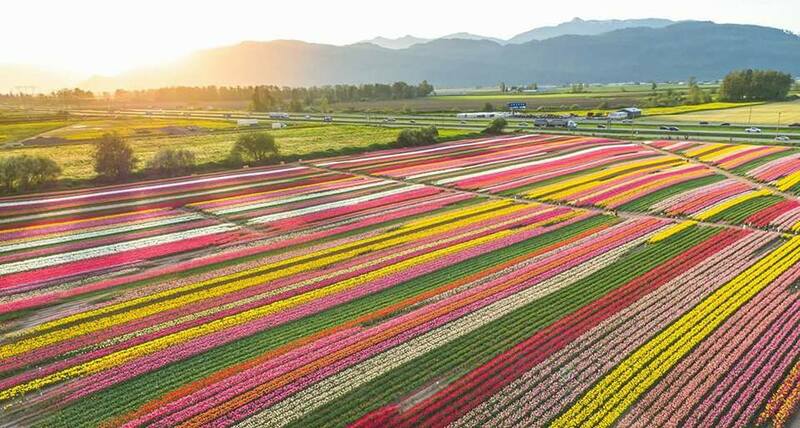 The blossoms are out; Instagrammers and tulip lovers are in heaven, and little train lovers can rejoice, the Burnaby Central Train opens on Good Friday! The cherry blossoms are in full bloom, and the Vancouver Cherry Blossom Festival has set its annual spring family blossom affair at VanDusen Gardens for April 13, 14. Experience a Japanese tea ceremony, view culinary demos, enjoy Japanese food, sample premium sake, take a guided walk through the cherry trees, and listen to haiku readings. Plus there are Japanese arts and crafts workshops and demos. PS: Don’t miss The Big Picnic at QE Park in the iconic cherry blossom grove. >> Top places to see tulips! Have a little (or big … we’re looking at you dad!) train lover in the family? The Burnaby Central Train opens this month at Confederation Park in North Burnaby. It’s a delightful miniature, volunteer-operated railway open on weekends and statutory holidays from April-August. A beautiful 20-minute ferry ride from Horseshoe Bay, Bowen Island is one of the quickest and easiest ways to get a feel for quiet island life while you’re still so close to the city. You’ll find little shops, restaurants, a few historic buildings, beaches, and family-friendly hikes (the 4 k loop around Killarney Lake is a must!). Explore the cute little historic town of Fort Langley, located just a one-hour drive southeast of Vancouver. You and the kids will love the interactive Fort Langley National Historic Site itself, a recreated historic village from when settlers first came to the area. The town has bookstores, galleries, shops, cafes and an historic train station to check out. Mini railways are great and all but if you have a BIG Thomas the Tank Engine fan in the house, then a trip in May to Squamish for A Day Out with Thomas the Tank Engine at the WestCoast Railway Heritage Park is a must. Get on the steaming locomotive for a 20-25 minute ride with Thomas the Tank Engine™ and meet Sir Topham Hatt™, the Controller of the Railway. There’s also story-telling, an imagination station, temporary tattoos and more.